Born in Maryland in 1955, Ryan S. Wood first became interested in UFOs when his father, Dr. Robert M. Wood, was engaged in deciphering the physics of UFOs while managing a research project on anti-gravity for McDonnell Douglas from 1968-1970 (Codeword BITBR). Ryan is now regarded as a leading authority on the Top Secret classified Majestic-12 intelligence documents, UFO crashes and military retrievals and specifically the 1941 Cape Girardeau, Missouri UFO Crash. A frequent lecturer on the UFO subject, Ryan has taught college courses and made numerous presentations about UFOs to civic organizations and at ufology conferences. 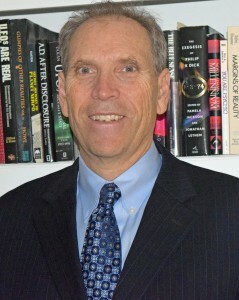 He has organized seven worldwide UFO crash retrieval symposia (www.ufoconference.com), each with their own conference proceedings. After attending presented a UFO lecture to a class on National Security Affairs at the Naval Postgraduate School that formed the basis of the final exam. He manages the content of www.majesticdocuments.com and along with his father was the executive producer of The Secret, a television documentary broadcast several times on Discovery’s Sci-Fi Channel concerning both UFO crashes a military retrievals and the authenticity of the Majestic-12 documents. He is married, the father of three children and a triathlete.